Sometimes known as the "Flugelbone", the Marching Trombone provides that brassy trombone sound with compact size and versatility. 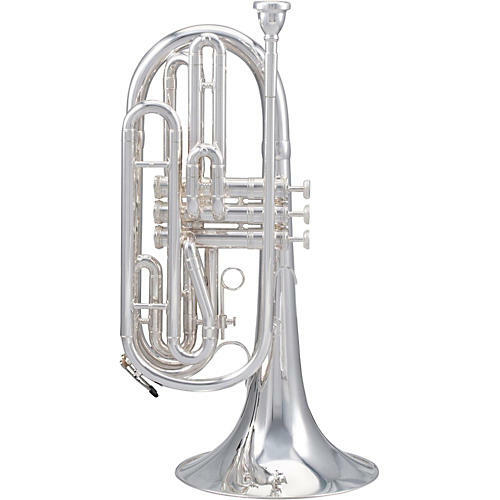 It is an octave below the standard Bb trumpet, and is easier to carry than a trombone. Kanstul is one of the greatest brass design innovators and Tama has a solid understanding of marching bands' needs. It is an ideal marriage of core competencies that has resulted in a new alternative solution for marching band challenges.